Join us on Sunday, March 3rd, 2019. 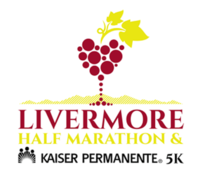 Secure your spot for the 2019 Livermore Half Marathon & 5K and enjoy a well deserved glass of wine or beer from one of the local wineries and breweries at the Finish Line. Once you cross the finish line, you’ll refuel and be awarded your well deserved finisher’s medal and commemorative wine glass.